Phosphorylation of proteins and lipids is a hallmark of the signaling or metabolic status of cells. A cocktail of three inhibitors that will inhibit alkaline phosphatases as well as serine/threonine protein phosphatases such as PP1 and PP2A. 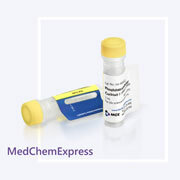 Each vial contains 1 ml phosphatase inhibitor cocktail solubilized in DMSO with the following components: Bromotetramisole oxalate (2.5 mM), Cantharidin (500 µM), and Microcystin-LR , Microcystis aeruginosa (500 nM). 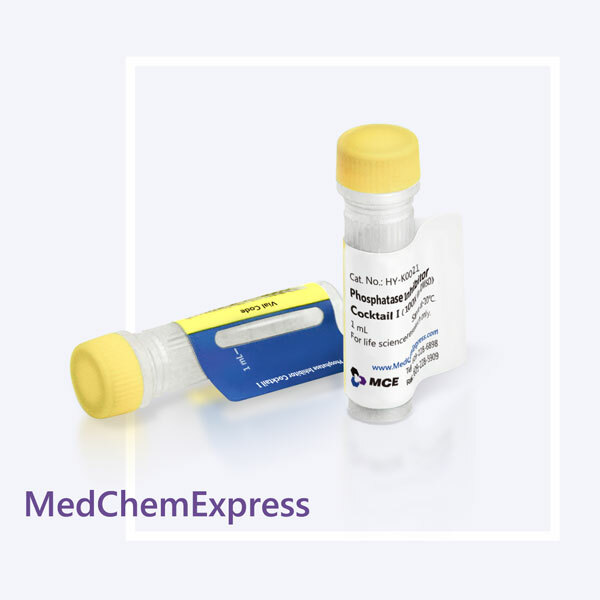 Phosphatase Inhibitor Cocktail I has been optimized and tested for mammalian cell and tissue extracts. This cocktail is supplied as a ready-to-use solution in DMSO. • Int J Oncol . 2018 Aug;53(2):672-684. • Life Sci . 2018 Dec 11. pii: S0024-3205(18)30802-6. • Microb Pathog . 2018 Oct;123:115-119. • Oncol Lett . 2018 Nov;16(5):6838-6846. • Exp Ther Med . 2018 Nov.
• Exp Ther Med . 2018 Oct.